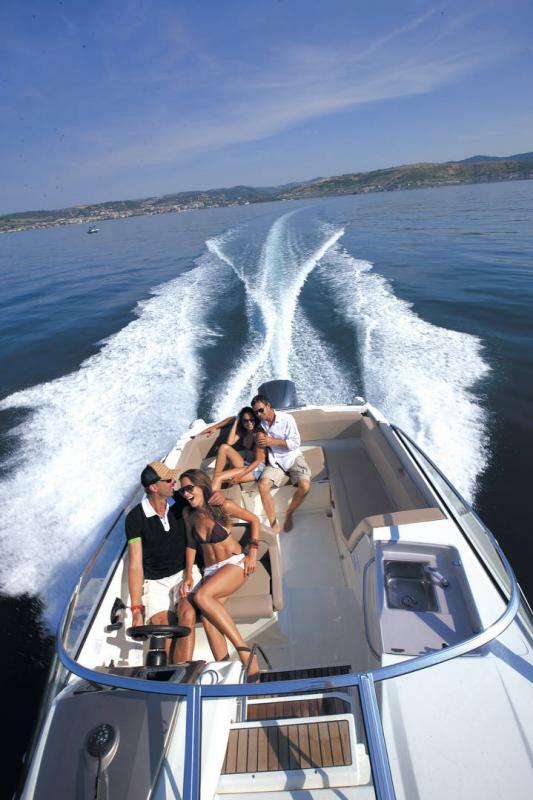 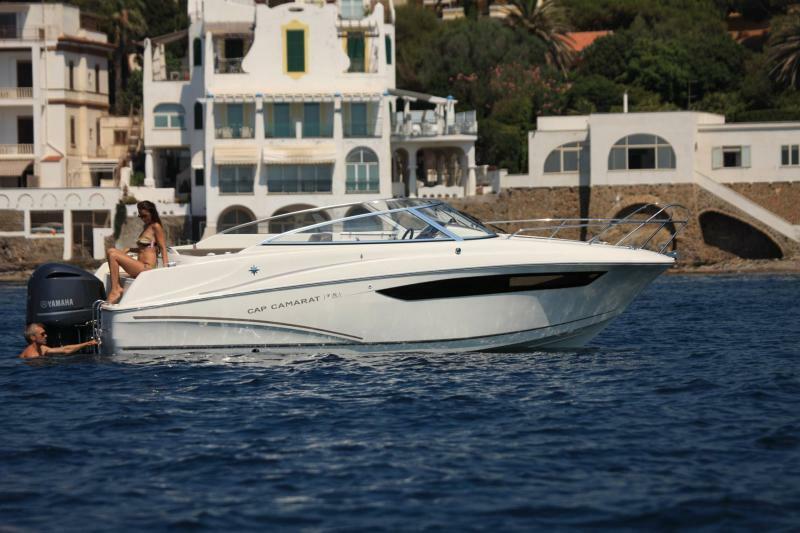 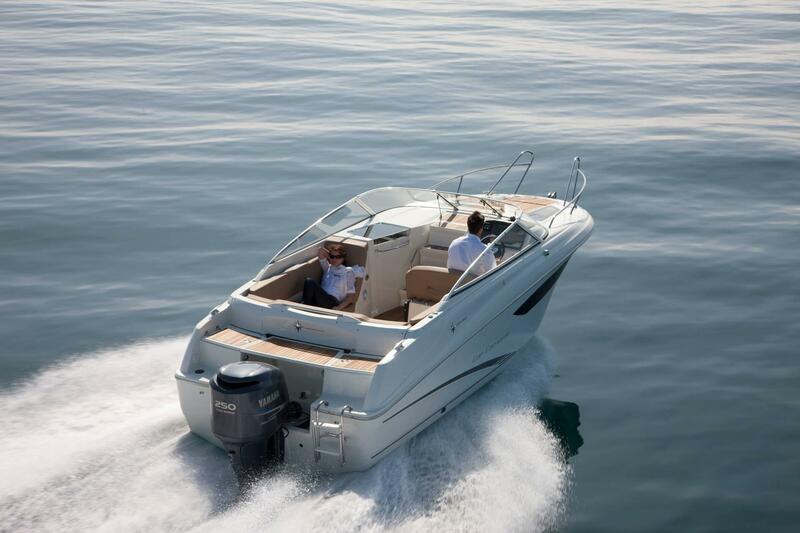 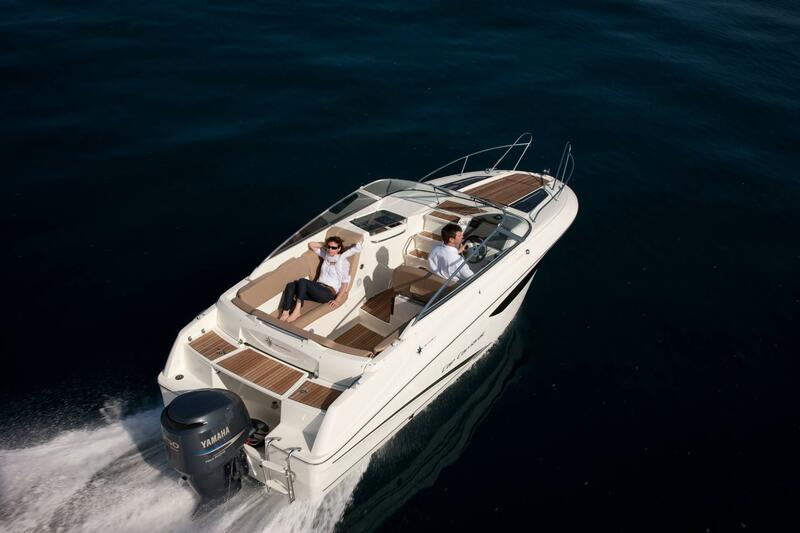 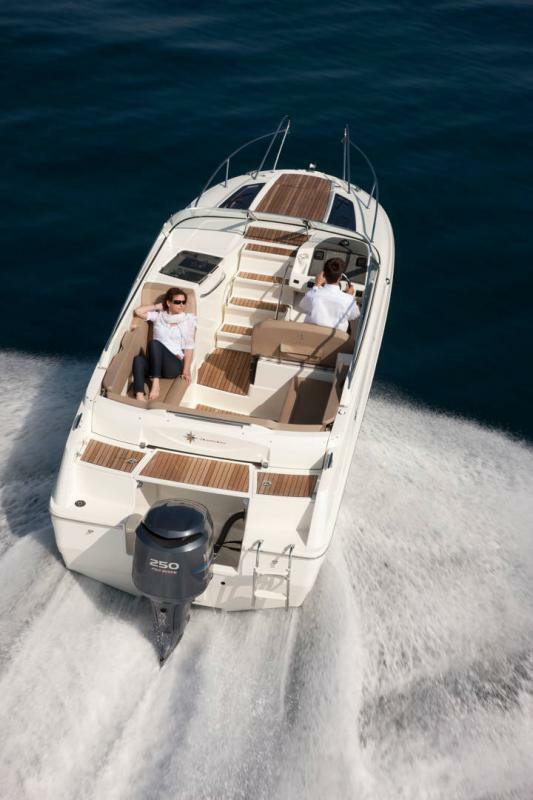 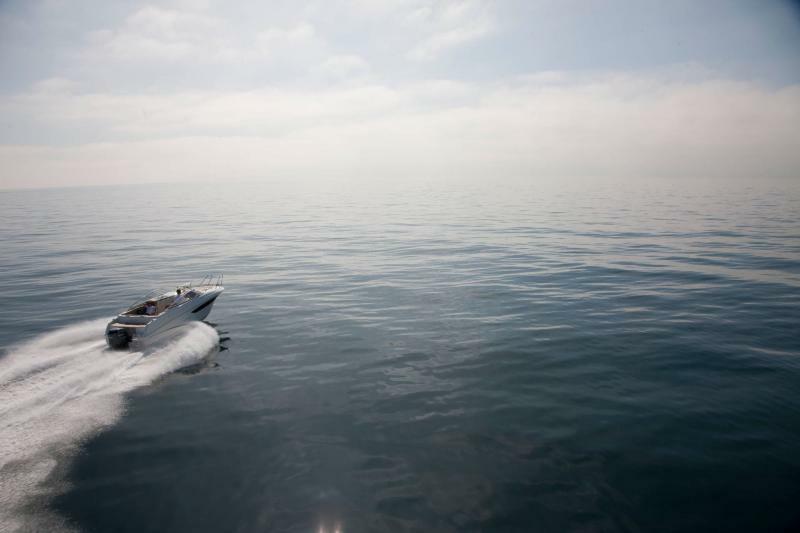 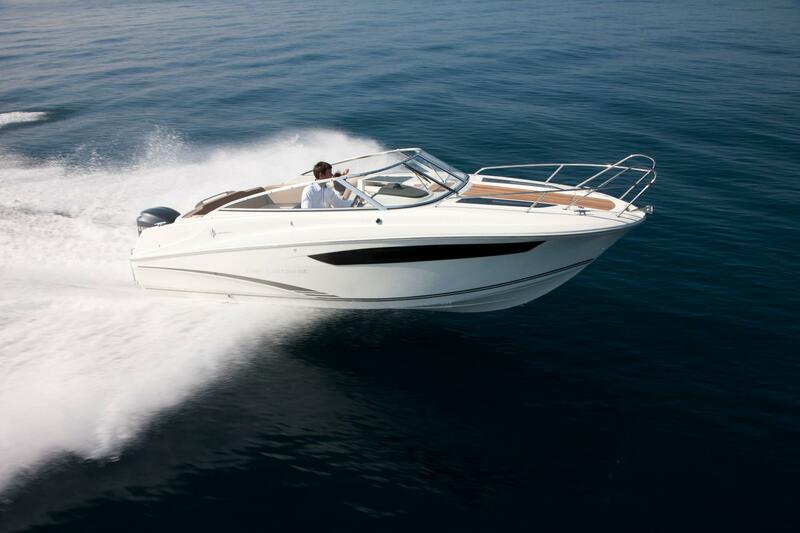 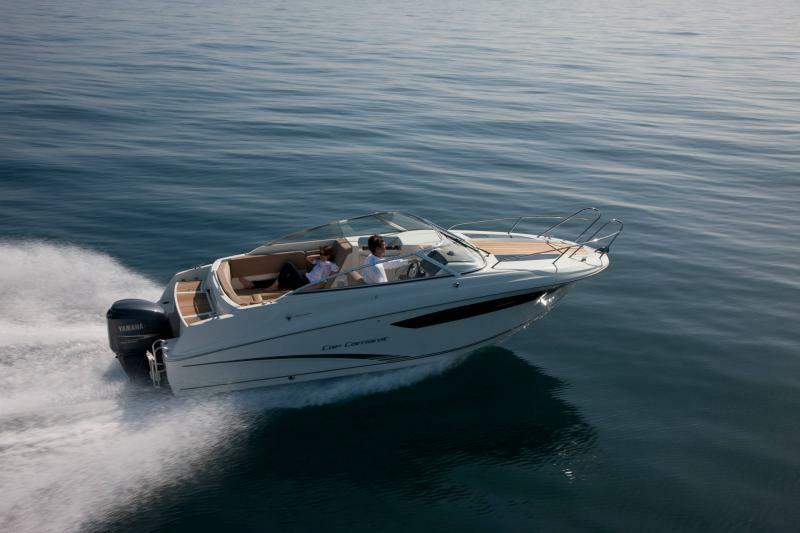 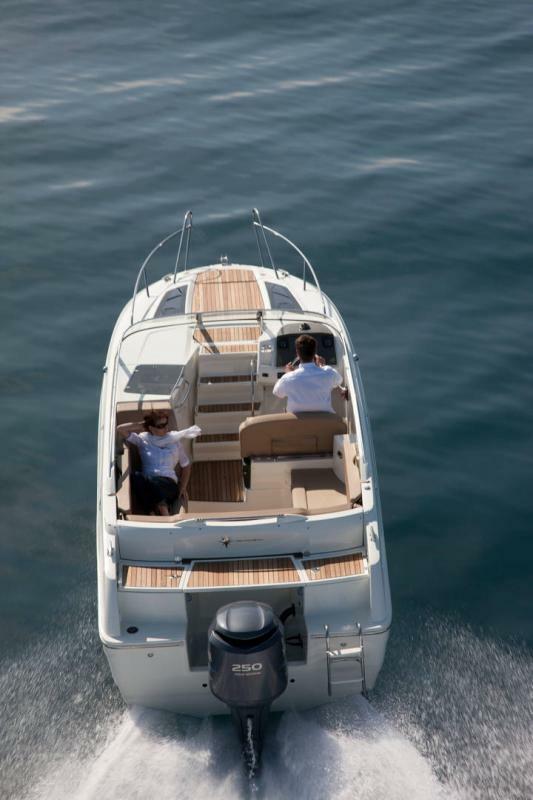 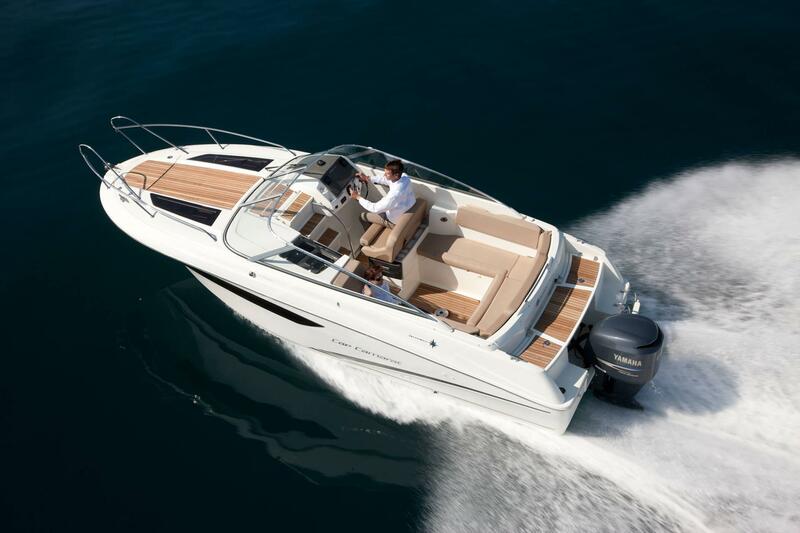 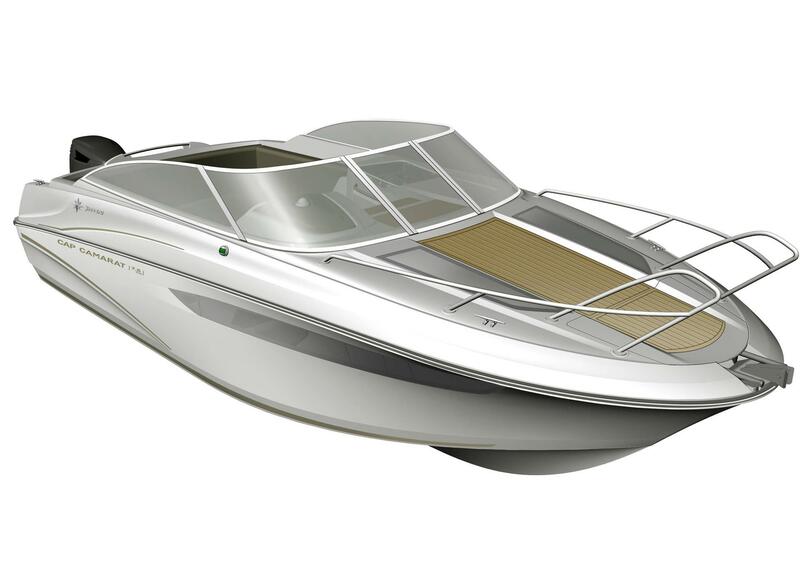 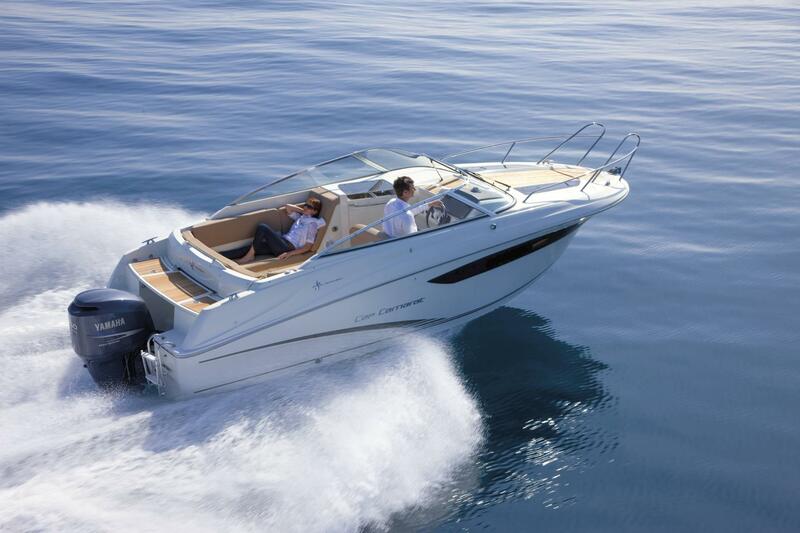 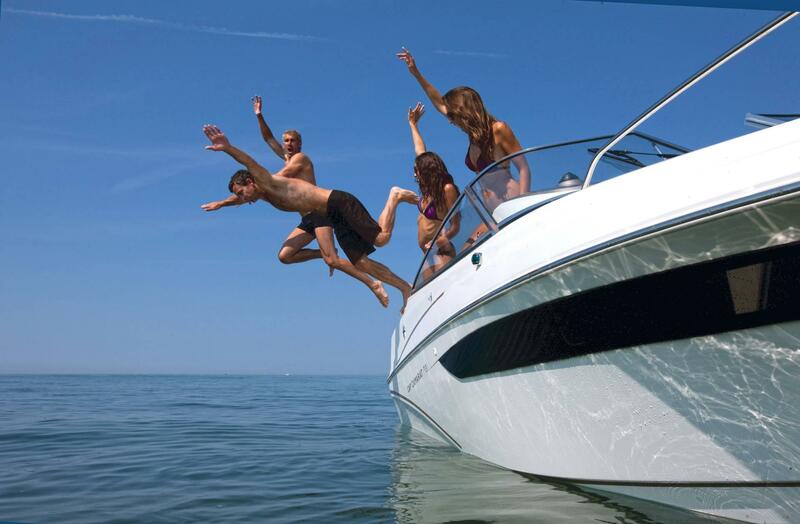 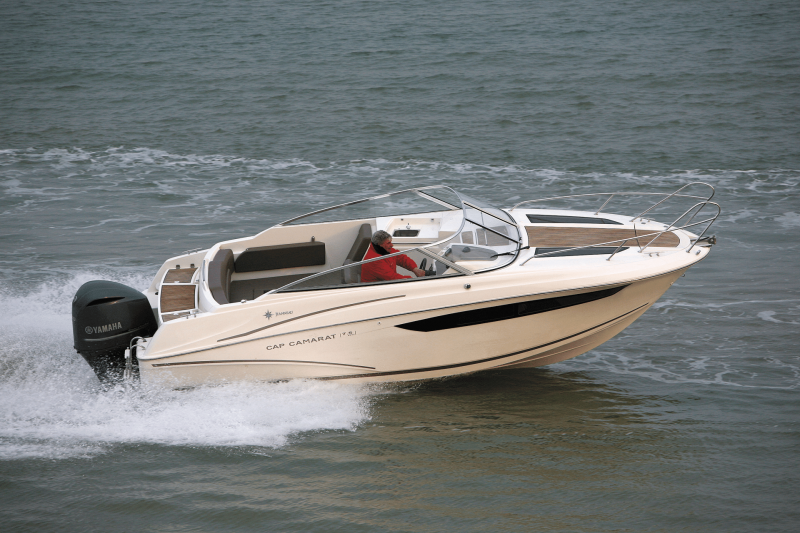 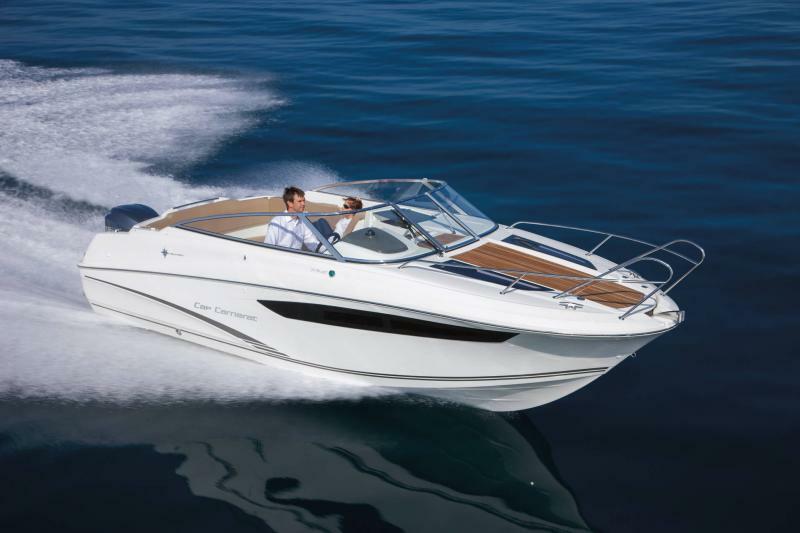 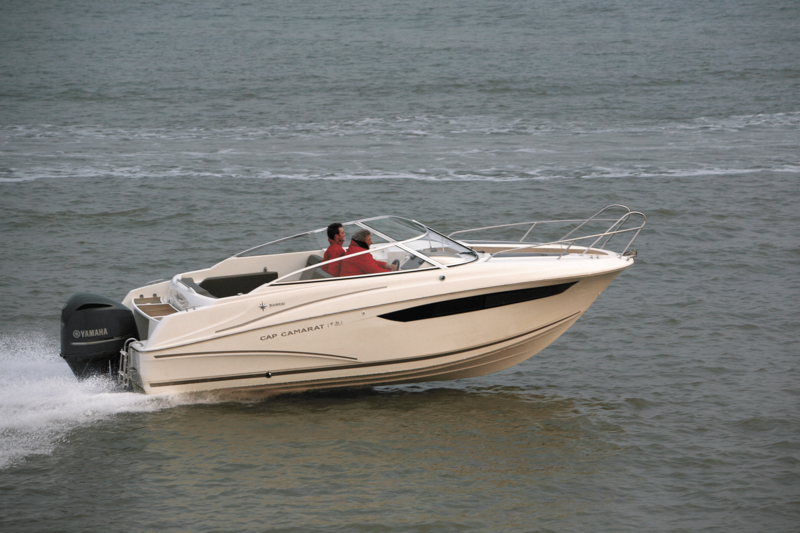 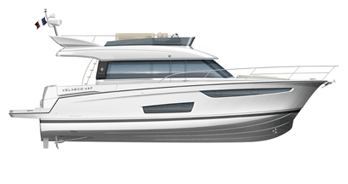 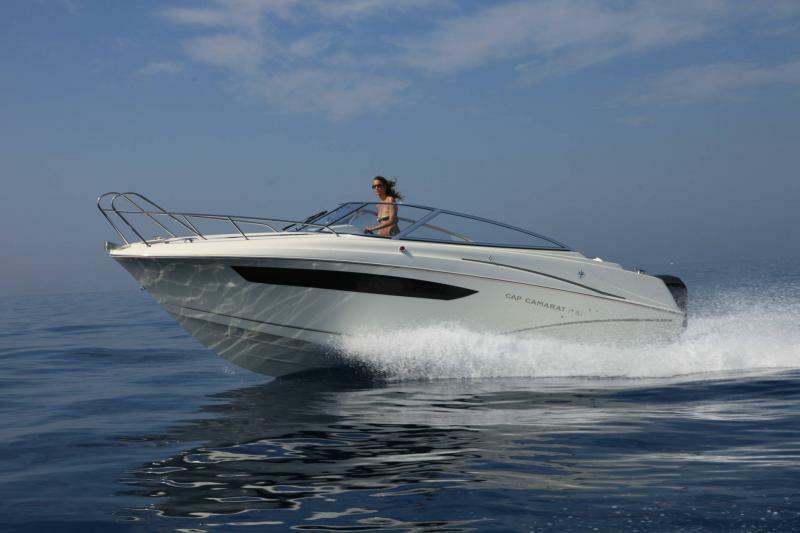 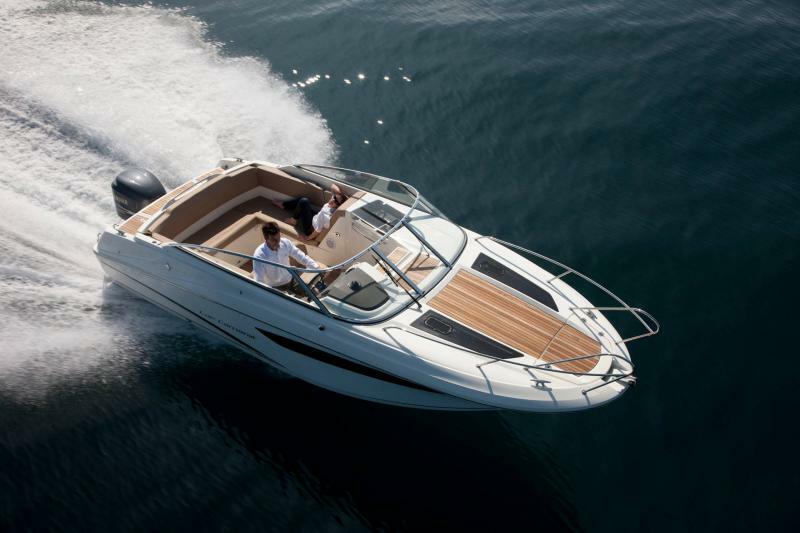 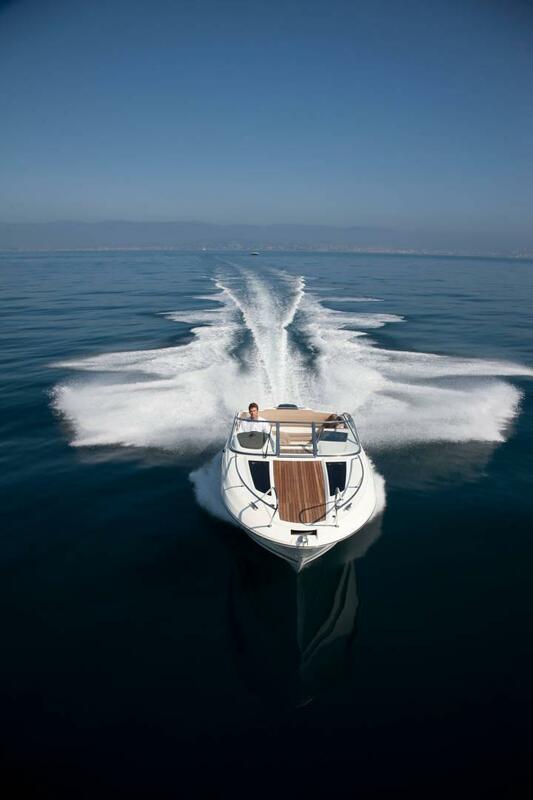 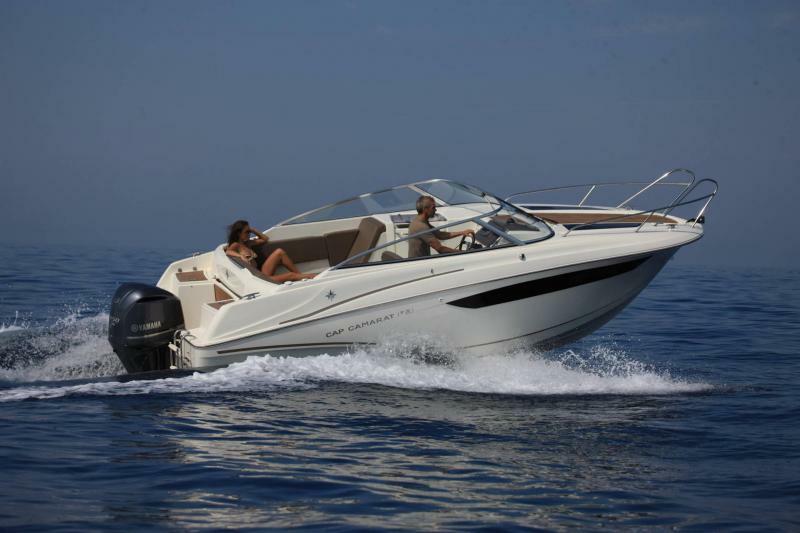 Cap Camarat 7.5 DC, This highly modular family boat with its sleek contemporary lines strikes exactly the right balance between style, comfort and safety. 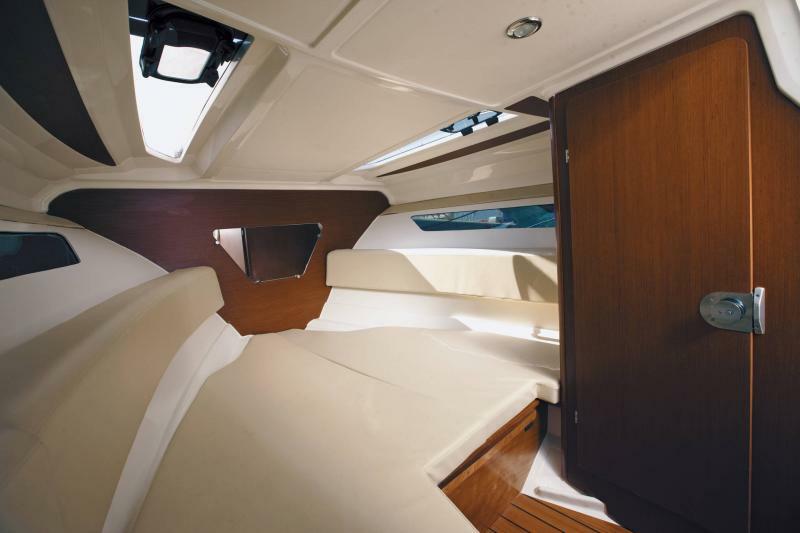 In terms of comfort, the large sofa and sunbathing platform make the cockpit a real openair saloon. 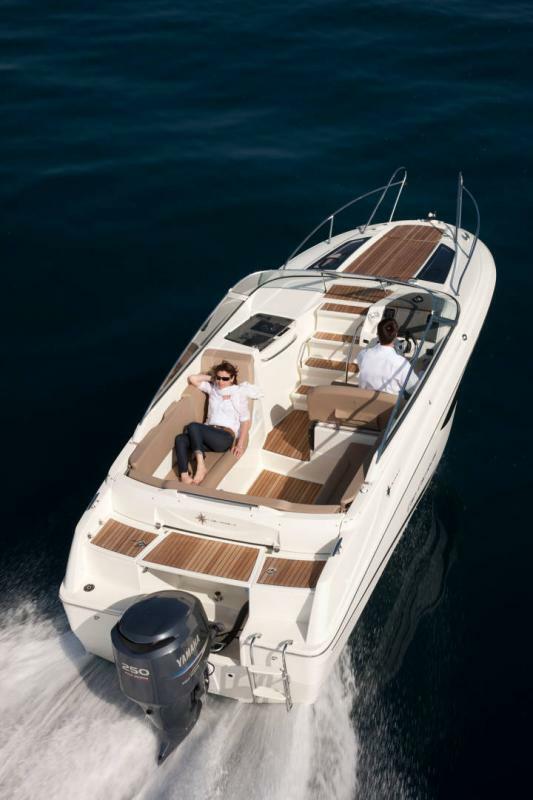 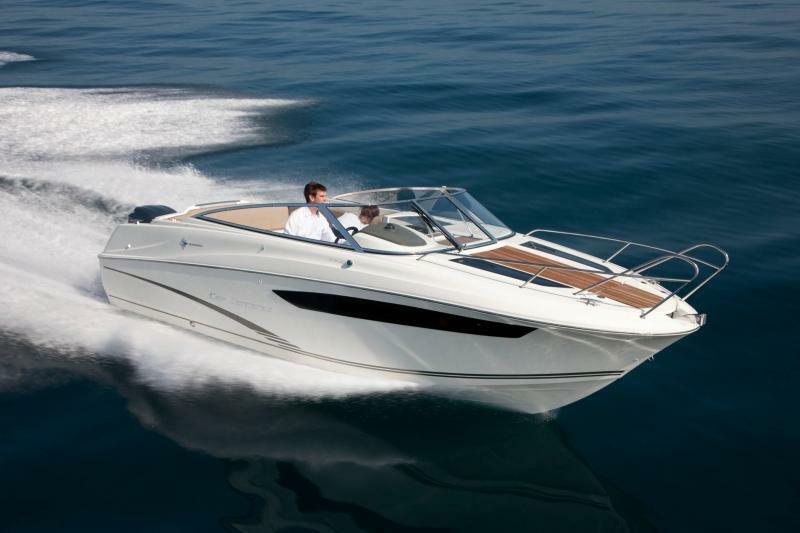 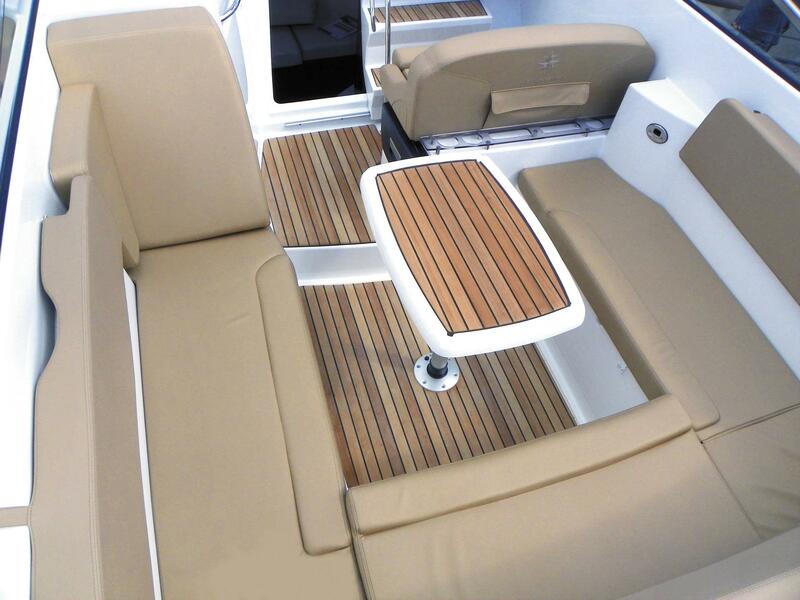 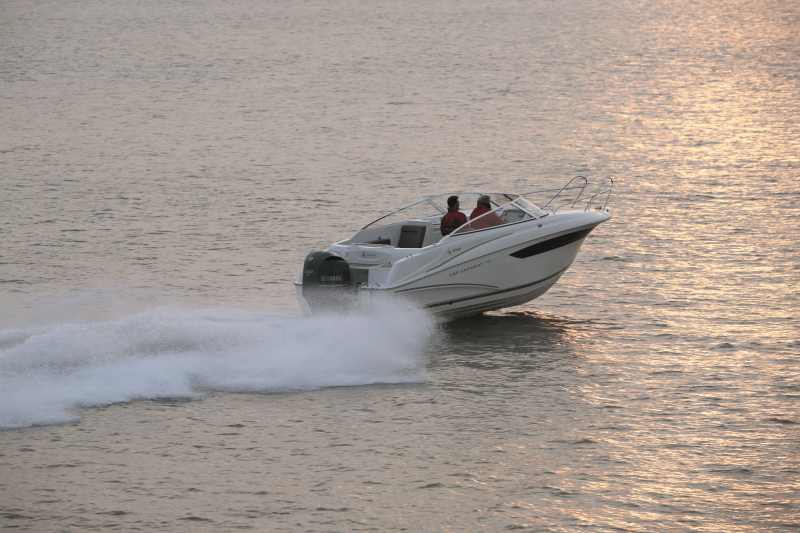 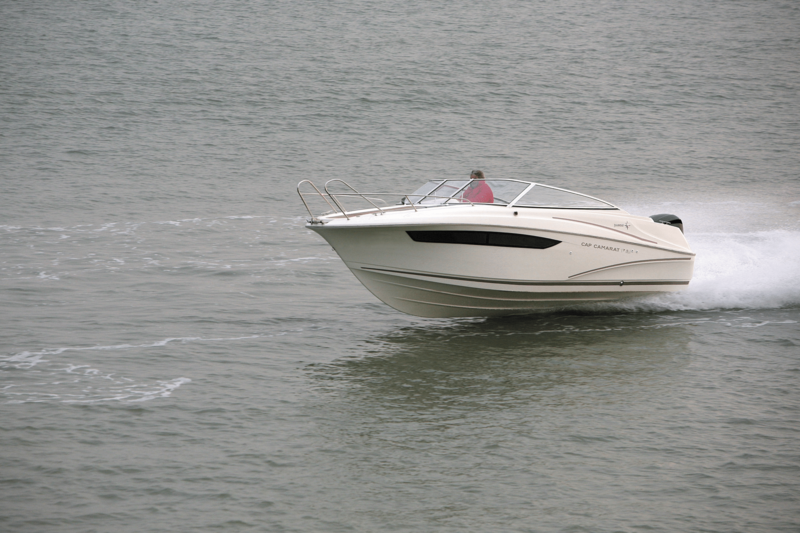 A galley, built-in sprayhood and one of the most luxurious driving positions in the market underline the extreme levels of onboard comfort offered by this model. Inside, the Cap Camarat 7.5 DC is all about ingenuity and modularity. 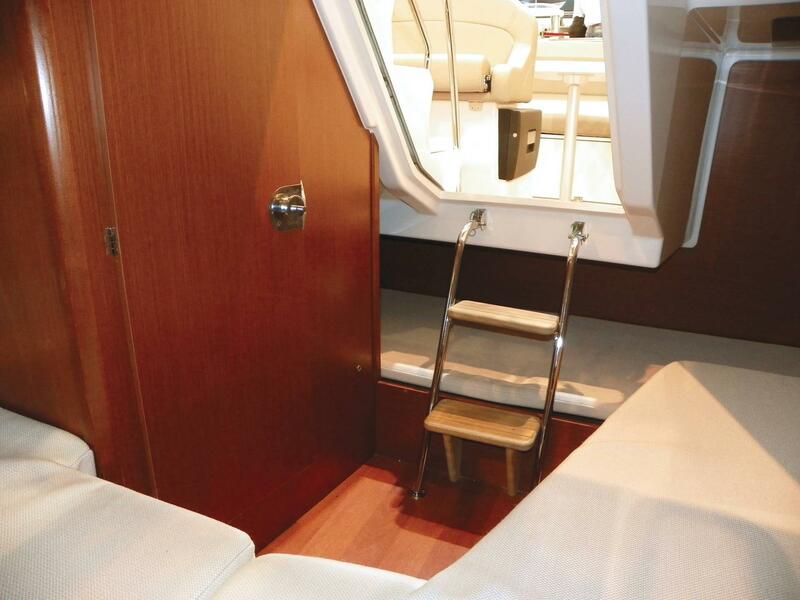 The saloon converts to a double bed, with a third berth and separate private WC.